There is a increased need for translating foreign whistleblower reports to English. If you are a compliance officer, in-house counsel, human resources professional, or otherwise a member of management in a multi-national company and deal with any type of internal investigation, this article is for you. It cannot be overstated that legal translation services are vital to properly dealing with foreign whistleblower complaints and other internal investigations. To begin with a little context, take this unfortunate story as an example. 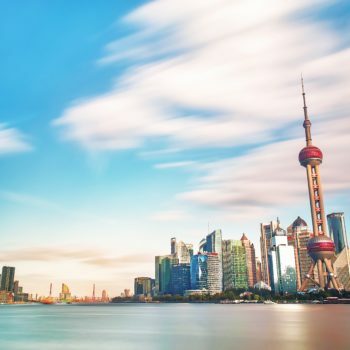 Whenever a particular United States-based consumer products company received hotline reports in a foreign language, the company would automatically forward the report to the country manager in the local jurisdiction associated with that language. That was the policy because the company did not have a legal translation service that could review the report before it was forwarded. As you may expect, in one instance, a report of potential corruption by a customs broker in Germany was forwarded to the country manager in Germany so he could open an investigation. As it turned out, the German country manager was the person being accused of the wrongdoing! That serious mishap is just one of many that occur in companies that fail to utilize experienced legal translators in their cross-border investigation processes. Indeed, KPMG conducted a study several years ago that concluded that more than a third of companies identified language differences as the primary challenge in cross-border investigations. Taking a closer look at the beginning of the process, the intake process, cross-border investigations for a multinational corporation can begin from any foreign country in any language, around the clock. How a company initially receives and responds to a report of alleged wrongdoing will typically characterize the quality of the investigation moving forward. A company needs to have an intake system in place that is both flexible enough to accommodate the laws (data privacy, employee notification, etc.) and cultural norms of the country sending the whistleblower report, but clear and predictable enough so that all employees understand and will follow the process. Why Are Legal Translation Services Necessary For Cross-Border Investigations? Of course, a functioning whistleblower intake process begins with accurate translations of the information. A cross-border investigation will forever be plagued with issues if the translation of the report is inaccurate or incomplete the first time around. 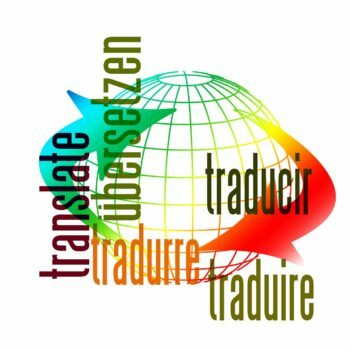 Moreover, legal translation services are necessary because there are idioms, euphemisms, slang, and regional nuances of a language that only professional legal translators can discern. Therefore, those in the industry recommend that any whistleblower process or hotline have a legal translation service available in case a foreign report of wrongdoing comes in. Further, the remaining steps in a cross-border investigation require professional legal translation services. The short-term action steps, immediately after a report is received, depend a great deal on the initial accuracy of the translation of that report. Developing an investigation plan and notifying the relevant parties being investigated also needs a legal translator. Why? Because the investigator will need to rely on a full-time translator to carry out whatever the investigation plan requires in the foreign country. If employees require notification of the investigation, that too will require professional translation services. Indeed, in some cultures, telling an employee that they are involved in an “investigation,” may be perceived negatively and could have a chilling effect on an employee’s desire to provide necessary information. Thus, a skilled translator will know how to soften an investigator’s approach based on the culture. Perhaps words like “review,” or “discussion,” may be perceived as more objective and impartial. The same is true for interviewing the appropriate witnesses. While it may be logistically easier to have a person from the region help conduct the interviews of witnesses, it may be more advantageous to have the legal interpreter who has worked on the investigation team from the beginning help conduct the interviews. Finally, the conclusions of the investigation will need to be translated for all interested parties on both the U.S. office and foreign office side. It goes without saying that cross-border investigations for a multinational corporation will have to cover various aspects. There needs to be fact finding, there needs to be an understanding of the employment and privacy laws of the country where the investigation is focused, and there needs to be an appreciation for the cultural differences in the foreign office. Each and every one of those aspects relies on a legal translation service to support the various branches of the investigation. All Language Alliance, Inc. has legal translators with experience in translating whistleblower reports from Portuguese, Spanish, Mandarin Chinese, Russian, Tagalog, Korean, French, Hebrew, and other languages to English. Let us be your on-call translators for your cross-border investigations. We guarantee the highest quality service and the highest quality legal translations. Legal Translation Services for FCPA Compliance Read It! Chinese Contract Translation Services Read It! Translating the Foreign Blocking Statute Conflict Read It! Translating Consideration into Cross-Border Contracts Read It!